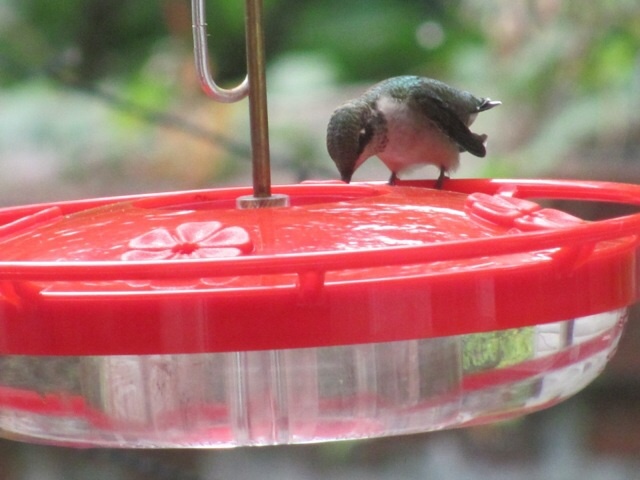 The Hummingbirds that live in the trees of the forest edge have been visiting our feeders with great frequency lately. At this point it is life or death and every minute counts. The great migration is any day now, with not a moment to spare. This female has been very busy bulking up. Take note of her chest, bulging with much needed fat, all the way down to her legs and around her neck and on her back, so needed for a trip of unimaginable proportions and distance. 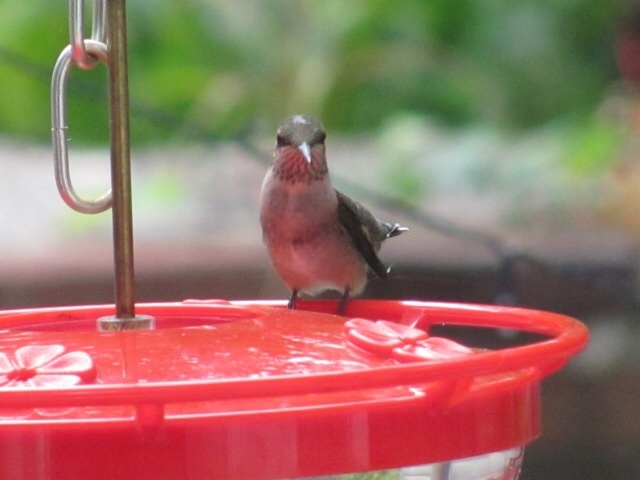 The sugar water in this feeder has provided none of this fat, only the energy needed to hunt the insects to gain this weight. This bird is a few days, perhaps even just hours away from going the distance. At what exact moment she decides to leave her Morris Park ecosystem and home is an open question. Exactly what is the final trigger to fly away, to fly south on the most daunting journey, by herself? It is pleasing to see this fattened up bird, healthily prepared for her life’s journey, hopefully to return next spring and nest in our midst once again. 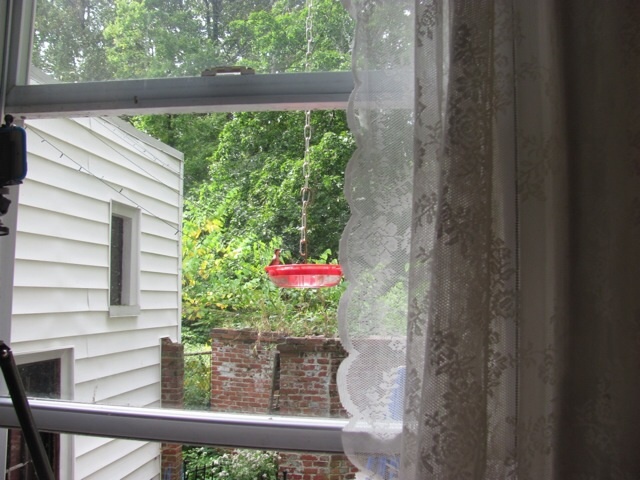 After a few years of growing a multitude of native flowers and vines that hummingbirds need to survive, this year we decided to supplement this with a feeder-taking into account the habitat loss these birds have suffered with the built-up city. 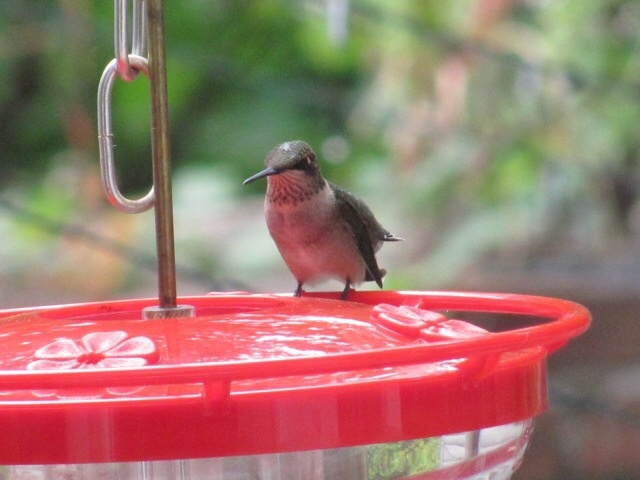 We have one other neighbor we know of with a feeder out as well and we love to promote the plants these birds need to survive. It is September 24th, and we are sad to see them go. But it is all about the life-cycle.